professionals and give your business valuable exposure while supporting this worthy cause! A dynamic, growing organization committed to serving California’s lodging owners and their management teams. Based in Sacramento, the State Capitol, CLIA is the recognized lodging advocacy leader. Focused exclusively on California, CLIA works in concert with other leading hospitality and business groups to support and protect California’s $95 billion tourism industry, through responsible advocacy. In addition, CLIA continually provides education and training to improve profitability and performance. CLIA is an organization you can count on to get answers, and a productive place to network. Welcome to CLIA! The California Lodging Industry Association is the foremost state association of individually owned lodging properties in the country. The HelpLine is a valuable members only resource offering information and guidance with concerns or questions regarding innkeeping law, wage and hour issues, regulatory issues, labor laws, marketing tips, tax liabilities and other related questions. Click to sign up for our electronic newsletter. What are HMBookstore customers saying? 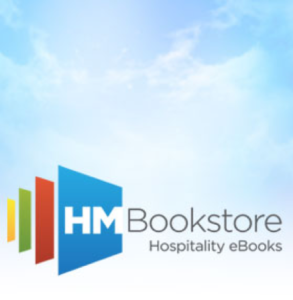 At HMBookstore you will find an online library of Hospitality eBook courses spanning entry-level to management positions. – Lorna Knoll, Regional General Manager, MasterBUILT Hotels Ltd.